Selling tickets has never been so easy and safe: In the ticket portal, the sale can be started – the ticket is either offered in their own public marketplace or sold by secret link directly to an existing buyer. Authenticity of the tickets guaranteed! 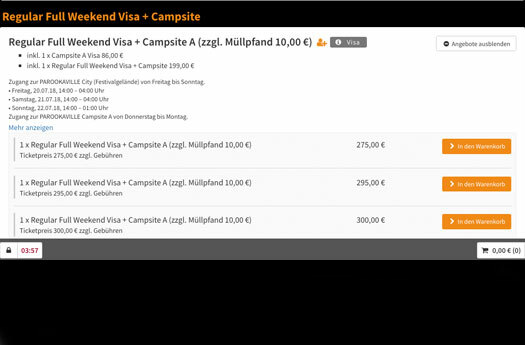 We do it for you: check incoming payments, lock old tickets, create new tickets, pay out the seller. You determine the general conditions: How expensive may a ticket be? Or is there even a minimum price? Everything depends on you. The resale helps everyone: your customers can safely buy and sell a ticket, the tickets are checked for authenticity, the transaction is very easy. While shoppers do not have to pay overpriced black market prices, you can earn extra fees on each ticket as an organizer.